Earth Cycle Topsoils are manufactured from high quality screened soil. Packed and delivered to Sussex for your Garden. We are suppliers to garden enthusiasts and landscapers in East Sussex and West Sussex including Chichester, Bognor Regis, Horsham, Pullborough, Eastergate, Worthing, Dorking. If you live in Sussex we are able to provide you with premium peat free topsoil for your landscaping or garden projects. We are able to deliver on your most preferable date from five working days and if you would like a particular time please feel free to call to discuss whether this can be arranged. We do ask on collection from our deliveries there is someone present. We can deliver numerous bulk bags of topsoils to your address and if you were thinking of adding another one of our products to your order, we can deliver it in one shipment. Topsoil is a key element in any landscape project and is suitable for many different uses in your garden such as sowing seeds, composting, laying a lawn, planting vegetables and flowers. We use high quality screened soil and blend it with our peat free compost to create our unique Topsoil Supreme. This is a multi-purpose tool which is ideal for all your gardening needs such as vegetable plots, raised bed borders and rockeries and even creating brand new gardens. Our Topsoil Supreme ensures your plants and vegetables have access to the vital nutrients they need to prosper by blending it with 30% Compost Soil Conditioner for an extra boost of organic matter. Similar to our Topsoil Supreme, Lawn Supreme is mixed with soil and compost to stimulate strong root growth and vigour in the grass. It’s perfect for rejuvenating a tired lawn and can be put underneath new turf, used to level out your lawn and seeding grass. Earth Cycles BS3882 Topsoil is certified to BS3882:2015 specification for the grade ‘Multi-Purpose Topsoil.’ Our product is perfect for use in the garden as its packed with nutrients to stimulate growth and can retain moisture. 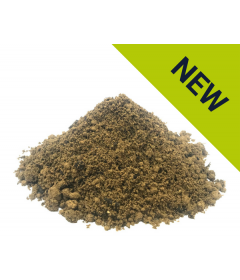 It’s a sand-based soil making it ideal for use in landscaping in and around building and infrastructure projects whereby a technical certificate is required. Our BS3882 Topsoil is high quality and great for use on lawns next to paving slabs or fencing as it soaks up surrounding water. Fill in any hollows you have in your grass surface with our high-quality Turf Dressing Rootzone, whilst using continued application to build an ideal structure for your turf and lawn over the years. Its specially designed for top dressing lawns, sowing seeds into, divot filling and topdressing lawns. We produce Turf Dressing with our peat free compost, mixed with sand and screened to 5mm, to create a product that’s full of nutrients to stimulate highly durable grass. Wildflowers are different than other plants in the garden because they need less nutrients, so we have created a Topsoil for Wildflowers which is specially made with the ideal level of nutrients for them. A great product for sowing seeds in March and April. We send our products in convenient bulk bags of 750 litres or 1 cubic metre. All our topsoil’s are stored safely undercover to ensure they’re kept to a high standard and are workable whatever the weather. Watch our video above to find out a bit more about our processes. At Earth Cycle we proudly supply ethically produced products made from recycled waste, which is created by The Woodhorn Group, who have a strong environmental focus. We are able to deliver all our products nationally, including East and West Sussex, and all our prices are inclusive of VAT. Not only do we sell high-quality topsoil, but we also offer a wide range of gardening and landscaping products like Mulch, Logs, Ornamental Bark, Turf dressing and Soil Conditioners. For more information about our services or queries please don’t hesitate to get in contact with us here. We provide delivery to Sussex including Chichester, Bognor Regis, Horsham, Pulborough, Eastergate, Worthing Dorking and the surrounding areas.